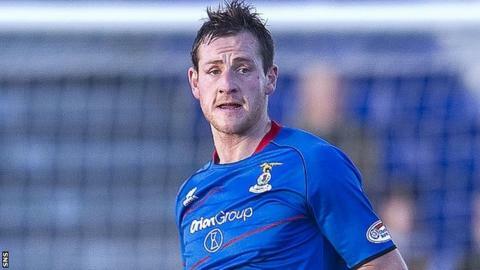 Defender Gary Warren has signed a two-year extension to his contract at Inverness CT. The 28-year-old joined Terry Butcher's side from Newport County last summer on a one-year deal. Warren has gone on to make 27 league appearances so far for the high-flying Highlanders, scoring seven times. "I'm delighted that Gary has committed himself for a further two seasons as he's proved to be a terrific leader at our club," said Butcher. "He's matured into a tough and steady centre back who until recently had played in every minute of every game this season."